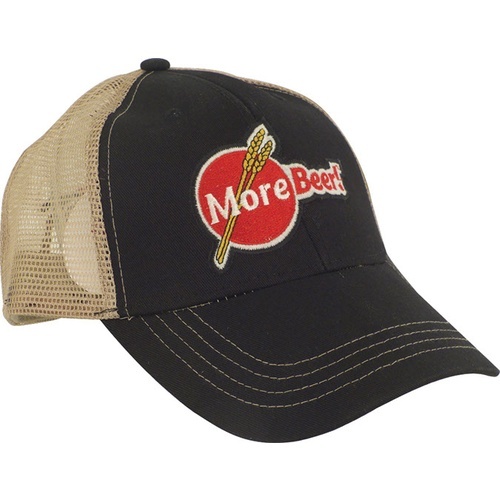 Black and Tan trucker hat with stitched logo. Something about black and tan says beer, we just don't what it is. Looked cool, and I like hats. Haha! So I did not have to pay for shipping. Ha. 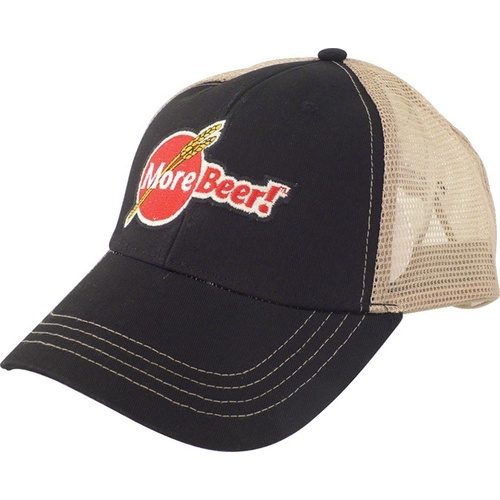 Cool looking hat! Fits well and started some home brew talk with others. 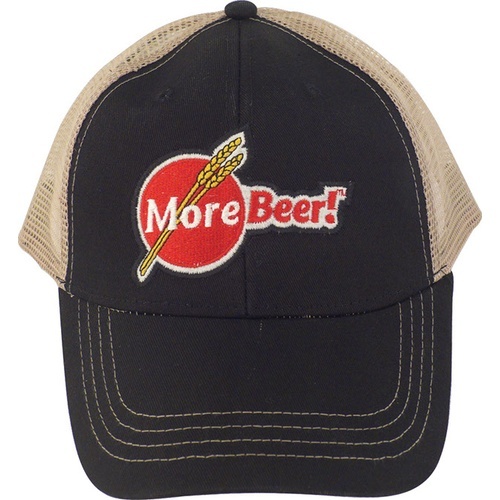 I had yet to buy any hats, etc to promote my home brewing until I saw this searching for supplies. so I wore it to the store to get more spring water to brew another batch, & this young lady comes up the aisle. I'm on a broke back buggie, since I can't walk too well anymore. She sees the hat & wants to help me with the large spring water containers. Boy, did her eyes light up with that big smile when I explained I home brew & the hat is from supply site! She said she could definitely get behind that! Very enthusiastic response...& all from this hat! Boy, if I was still single!...A great conversation starter!